Are You The ‘Tim Howard’ of Your Company? I watched an incredible game by USA Goalie Tim Howard in the ‘Knockout Round’ game against Belgium. 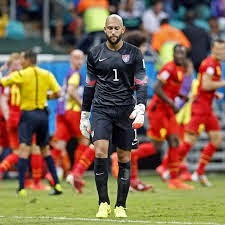 A record fifteen saves by Howard kept a lackluster US team in the game into the ‘Extra Time’, when two crucial lapses by his teammates led to Belgian scores and the end of the team’s run in the World Cup. While Belgium was clearly superior in talent and coaching, Howard’s teammates were sloppy and lazy, causing Howard at times to call out his teammates for stupid mistakes. Most of the first half was spent on the US side of the field, as if it was asking too much from Howard’s teammates to try to score. Over and over again, a single Belgian attacker shot through three or four defenders, who stood by and looked around as if they expected someone else to do the hard job of defending their side of the field. Howard played like a master; most of his team were disgraceful, including his coach. The US played a total of four games in the World Cup. They won once, and lost or tied the rest. The US fell behind Ghana, Portugal, Germany, and Belgium, playing poorly early on in every game. They came back to lead against Ghana and Portugal, but could only seal the deal in victory once. The team failed to pass effectively, failed to exploit opportunities, failed to shoot accurately, and failed to learn. Tim Howard deserved much, much better in effort from the team. I’m no all-world athlete, but I have been in situations where I essentially carried my team, getting little or no help and watching everyone make excuses if things went bad. A lot of businesses have people who are very good at covering their butts, but who couldn’t be bothered to hustle or go beyond the routine effort, even when critical results were at stake. These businesses often have key performers who do most of the work and end up carrying everyone else, for no reward beyond a serious work ethic missing from their colleagues. If you are one of those people, you know what I’m saying here. If you are not one of those people, you might need to look around and see who’s doing your work for you, and give them some appreciation and respect. Social Media tells us business must change, adapt, and grow, in their relations with employees just as in their business plans and goals. Many people believe that employers have responsibilities to employees beyond simply paying them the agreed wage and benefits for doing their jobs. I generally agree that there is a moral component to the employer-employee relationship, but not to the same degree and portion on each side. A not-unreasonable analogy might be to a nominal family. 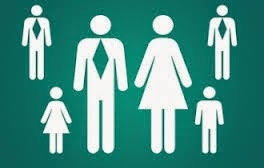 In the nominal family, one or both parents take pretty much all responsibility but also hold all authority, while children are allowed privileges and assigned duties according to their age and ability. A lot of employees won't like it, but employees should not begin their careers at a company with a great deal of power or privilege; it must be earned, even when their role is significant to the company. This does not mean that seniority makes an employee higher in authority or power, but it does mean that you have to prove yourself, before you should be trusted with power to change the company's direction and priorities. A lot of new hires seem to believe they need to act boldly and to take charge; in many cases this is not unlike the new teen driver who imagines he will drive just as safely as his much-more-experienced father, leading in many cases to a sharp rise in accidents and traffic citations. Business strategy should be decided by executives and owners, and employees should focus on carrying out that strategy to the best of their ability. It's sad to see how many younger employees reject the authority of their superiors. This only leads to confusion and disruption of the company's mission and message. I'd suggest that it's better, for the company and for employees, for each of us to focus on our role earned and assigned by the owners and senior management.